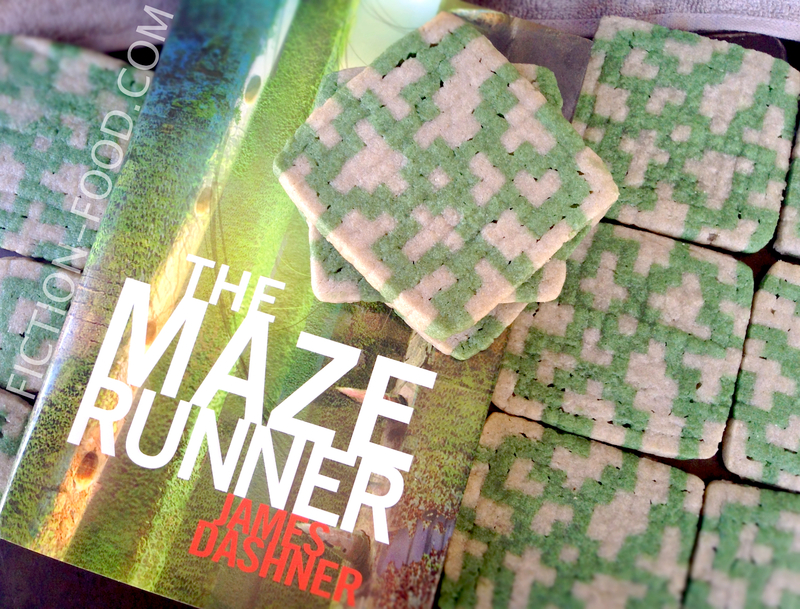 Are you excited for "The Maze Runner" movie coming out this Friday (9/19/14)? I am! It looks like it's gonna be great, especially from all of the positive comments James Dashner, author of The Maze Runner novel, has shared about it. It's awesome that he's been so involved with the production and has shared his joy about it every chance he gets. That's some smart movie making/book adapting–get the author involved and in love with the project and then you get all of the fans too! Wish all book to movie adaptations were that way. I've been lucky enough to meet James Dashner on several occasions; book signings, library presentations, writing conferences and symposiums (you can read about one of the experiences here), and every time he's been so fun and upbeat and a little goofy–a normal, cool dude, who's not afraid to be himself. 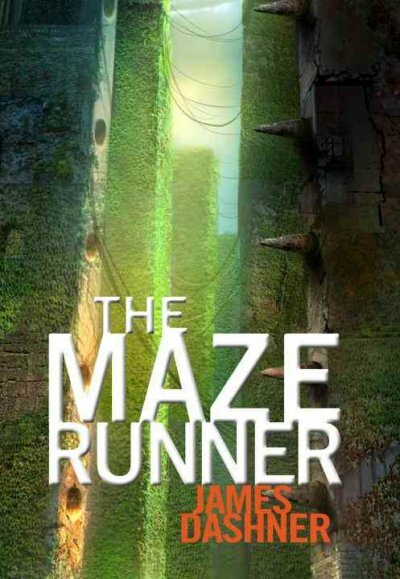 His book The Maze Runner, published in 2009, is the first in a complete trilogy (plus a prequel, so a quartet) with tons of action, and boys, and boys in action, and a HUGE maze and gloopy, slicing monsters and plot twists, suspense, trust issues, and more. 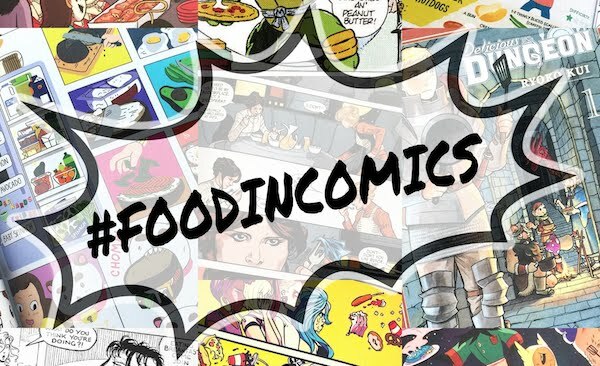 In the book there's also a ton of food, like bacon, ham sandwiches, steak and potatoes, tomato soup, and so on. These boys might have been in a crummy situation, but it was, at least in the beginning, a crummy situation with a working farm which included a large garden and a slaughterhouse. 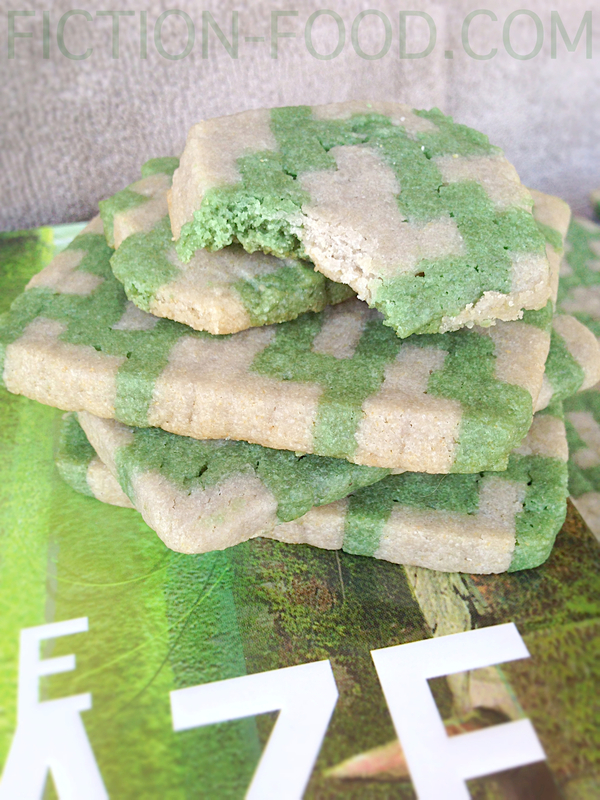 Instead of making one of the common-type meals mentioned in the story I decided to do something that would be instantly associate-able with the book: a maze cookie. Now, I could have gone the route of simply making a plain sugar cookie and then using colored royal icing to pipe on a maze pattern, but this is a representation of a huge, horrendous, life-threatening maze we're talking about here so the cookie making process should at least be tedious, if not outright difficult or grueling, right? Just kidding! 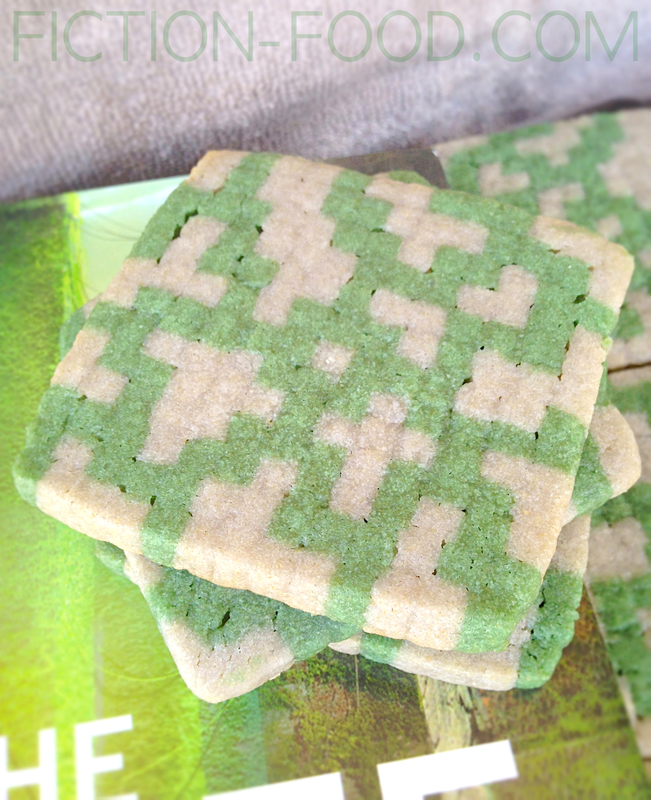 That's not what I thought, but I did want to do something more interesting, thus the concept for the pixel-type maze cookies was born (it's really not as difficult as it might seem. A little time consuming? Yes. Some effort required? Yes. But they're hecka cool and worth it. Your friends will be impressed). Note: There are many examples of pixel or 8-bit cookies on the net but perhaps the earliest online depiction of using a play-doh extruder to make these cookies is from Eva Funderburgh and her husband back in 2008–though I'm sure through the years there have been a slew of mothers all over the world who have commandeered their child's 'Fun Factory' to make cool cookie shapes without the desire or inclination to share about it online. Also, just FYI, in the book the maze is a square but in the movie it's more of a square within a circle within a circle. 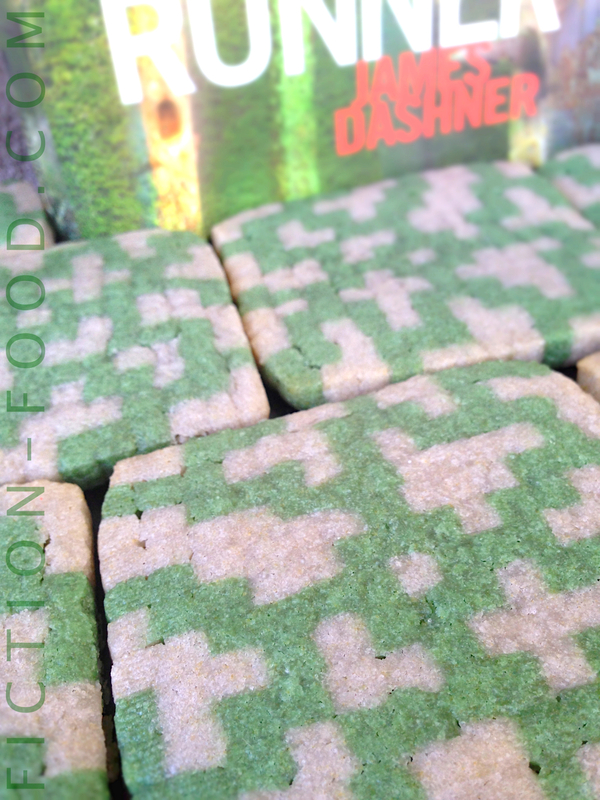 These cookies are more for the book, or if you want, they could represent the inner-maze-square from the movie–however you'd like to look at it. 1. Mix the sugar cookie mix with the butter, egg, & flour until completely combined & a nice dough is formed. Separate the dough in half & leave 1 half in the mixing bowl, setting the other off to the side on plastic wrap. Add a small drop of black color gel to the dough in the mixing bowl & mix it until it becomes a uniform grey. Remove the dough & wrap it in plastic. Place the other dough ball in the mixing bowl & add 2 drops of green & 1 drop of black & then mix until it's a dark green color. Remove this as well & wrap in plastic. Place both wrapped dough balls in the fridge & let chill for 20 mins or so. 2. Place parchment paper on 2 large baking trays. Prep your extruder by fitting it with the 4-square-hole output. Take the grey dough ball out of the fridge & break off a piece small enough to press into the extruder. Fill the opening with dough & press the lever down while holding the extruder over one of the paper-lined trays, moving it down along the tray as you press so that the dough strips come out in a line instead of all jumbled together. Use a toothpick to gently separate the strips & lay them straight. Continue the process until all of the grey dough has been extruded. Place the tray in your freezer. Wipe the extruder clean & repeat the process for the green dough. Let both trays sit in the freezer for about 30 mins. 3. Lay a pice of plastic wrap on another tray or a large plate. Pull the dough strips out of the freezer &, using the maze diagram printout as your template & layering the strips accordingly, build a maze cookie log about 4"- 4 1/4" long (break the strips as needed). When you're about 1/3 of the way through place the strips, including the log you're working on, back into the freezer to re-harden. Once they're hard again continue to build the log, taking a freeze break again at 2/3 of the way through. Once you're log is complete according to the maze diagram, fold the plastic wrap around it & carefully press it together on all sides, lightly & squarely dropping it on your flat work surface a few times, on each side, so the log gets more compressed & tight. Place the log in the freezer for about 30 mins or until solid. 4. Heat your oven to 350ºF & ready a large baking sheet with parchment paper. Unwrap the cookie log & place it on a cutting board. Heat a large sharp knife over a low gas burner flame or in very hot water & then wiped off. Slice the messy ends off of the log so you have straight, clean sides, & then carefully cut about 1/4" thick slices from the log, reheating the knife each time. Place the slices about 1" apart on the baking sheet & bake for about 10-12 minutes or until the edges have just the beginning hint of golden brown. If the cookies spread out a little bit during baking & aren't quite square anymore, use the hard straight edge of a spatula (AKA a slotted turner) to gently press in the edges to reshape them. Let cool a few mins & then move them to a cooling rack. 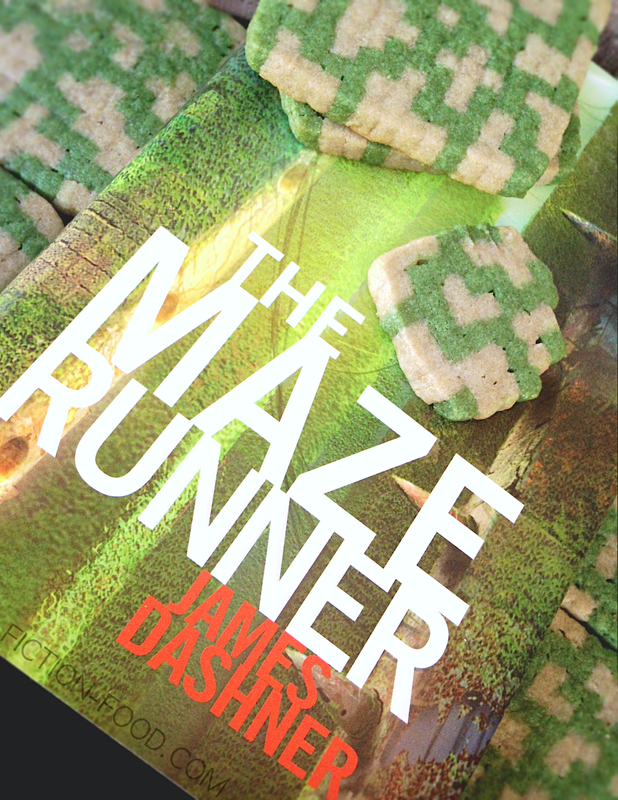 Enter below to win one of two (2) James Dashner prize packs! 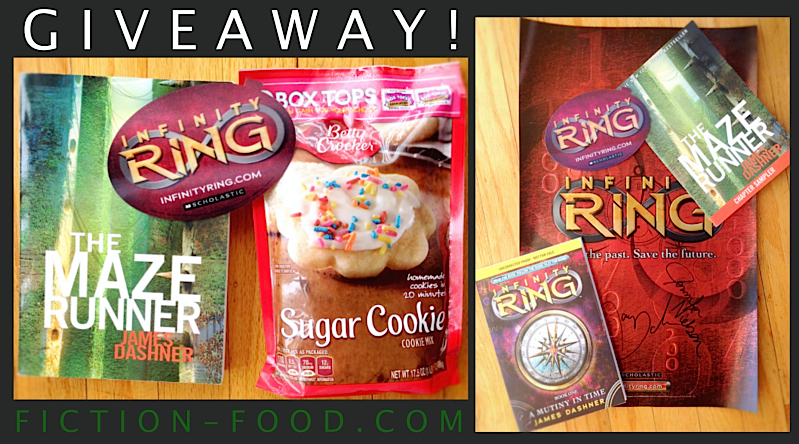 The first prize pack will be an autographed paperback of The Maze Runner, Betty Crocker sugar cookie mix, and a large special sticker for one of James' other books, Infinity Ring: A Mutiny in Time. The second prize pack will include a Maze Runner 5 chapter sampler (38 pages), an autographed uncorrected proof of James' book Infinity Ring: A Mutiny in Time, an Infinity Ring poster signed by James and fellow Infinity Ring author Jennifer Nielsen, plus the special Infinity Ring sticker. 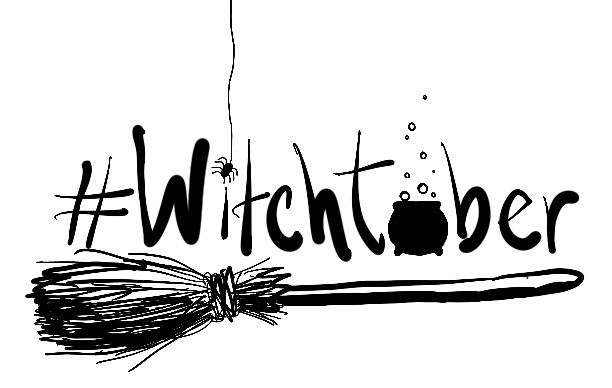 This giveaway is open to US residents only and will run until Monday, Sept. 22, 2014 @ 11:59 PM PST. Good luck and thanks for visiting!